Cyclists returned to the real world this week as the curtains of the 2018 Momentum Health Cape Pioneer Trek presented by Biogen drew to a close. 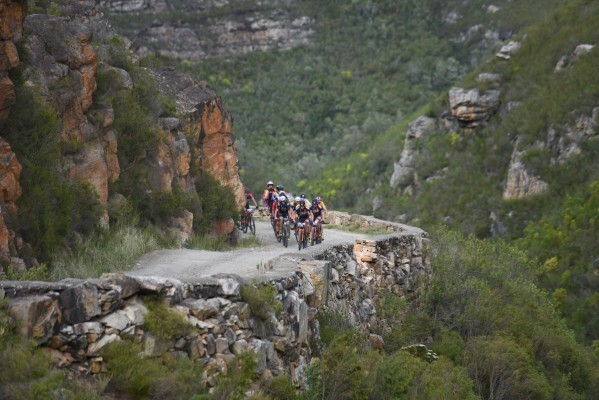 In a surreal seven-day experience, some 500 riders set off from the coastal trails of Mossel Bay into the heart of the Klein Karoo. Signature of this year's event were the weather adversity and biodiversity of the region that riders were given the opportunity to traverse. During ‘Montagu Mettle’ (Stage 4), cyclists navigated through arid terrain in a blistering 30°C. Testament to the extreme weather conditions, sudden showers, heavy winds and sub-zero temperatures were encountered on the summit of the mighty Swartberg Mountains in the very next stage! As many riders turned back to avoid hypothermia, it was a stark contrast to battling dehydration and heat exhaustion the previous day. For some of our international competitors, the event marked a first-time experience of the diverse African landscape. 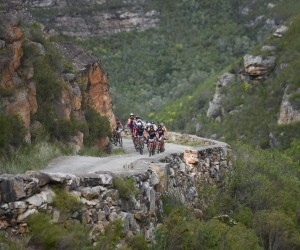 In a truly unique six stages, riders explored everything from the cool, indigenous forests of the Outeniqua Mountains to the thirsty terrain of the Klein Karoo. Some cyclists bragged about whale sightings from the cliff-hugging trails on the Mossel Bay coastline, while others reported riding alongside a herd of giraffe or wildebeest in the breathtaking Gondwana Nature Reserve! The 10th edition of South Africa’s ‘Race with Soul’ was certainly one of the most memorable, and the Dryland Events Management team has already gone back to the drawing board to plan the next one. Without giving too much away, the 2019 Momentum Health Cape Pioneer Trek presented by Biogen is set to return to its ‘pioneering’ roots. “A true pioneer ventures out, explores new trails and settles down to enjoy the fruit of his hard labour. Before long, however, his desperate need for adventure sends him out into the unknown again in search of even greater things. After 10 years of perfecting this event, we’re going to make small changes that will only build on the solid foundation we've already set,” said Dryland Director Henco Rademeyer. The full route will be revealed on 11 December, and cyclists can expect both brand new trails and the return to old favourites, like the infamous Kamannassi Nature Reserve. “It honestly was the best day of racing I've ever had. It was unbelievably stressful, testing and rugged, but it was something special to conquer the cold and make it to the top of that mountain! The whole experience created war stories that will live on forever. The route that day had everything a cyclist could hope for, it was just sensational!"